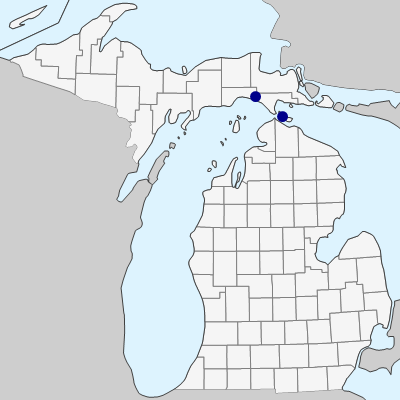 A European species collected at Mackinac Island by J. E. Potzger (4559,ND) in 1934 on an “open waste hillside.” Not seen again in Michigan untilcollected in a disturbed area on the mainland of Mackinac Co. in 2008. MICHIGAN FLORA ONLINE. A. A. Reznicek, E. G. Voss, & B. S. Walters. February 2011. University of Michigan. Web. April 18, 2019. https://michiganflora.net/species.aspx?id=1270.